There’s nothing scary about the significant sales opportunity that Black Friday represents for retailers. With earlier than ever store openings and steep discounts, retailers notched record sales last Black Friday weekend, according to NRF reports. Total spending over the four-day weekend following Thanksgiving reached a record $52.4 billion in 2011, up 16% from $45 billion in 2010. A record 226 million consumers shopped in stores and online between Thursday and Sunday, up from 212 million in 2010. Individual shoppers spent more too, the NRF said. The average holiday shopper shelled out $398.62, up from $365.34 in 2010. Savvy retailers can take advantage of the holiday season by incorporating creative, eye-catching in-store displays and in-queue merchandising utilizing standard retractable belt stanchions. From creative touches to full-on holiday spirit, in-store displays and in-queue merchandising provide the perfect opportunity to lure in shoppers by leveraging holiday themes that will peak their interest and influence purchase intent. In addition to the visual impact of creative signage, retailers can generate excitement and occupy consumers’ wait time with functional in-queue merchandising displays like merchandising bowls and impulse towers for holiday themed candy and novelty pocket money purchases. Check out our specials and treat yourself to increased sales. 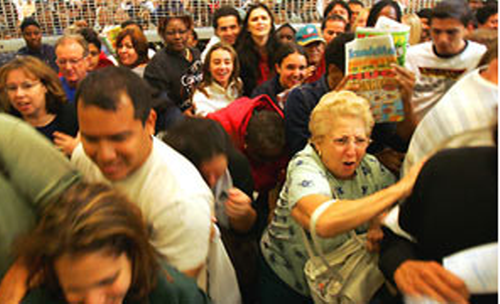 Turn to the experts at CrowdControlExperts.com to help you strategize a comprehensive solution that will improve your Black Friday sales. Our experts are ready to help at (631) 367-2005. Last year, millions of shoppers spent billion of dollars in the four-day Black Friday shopping period, a trend upward from the previous year. A struggling economy makes it difficult to predict this year’s outcome, but it is certain that shoppers will be seeking bargains. For retailers, that means increased foot traffic. Retailers can dramatically improve impulse purchases by incorporating in-line merchandising solutions like our merchandising racks. Advertise specials in advance using signage in front of your store, in check-out queues and elsewhere. We have unique solutions for stand-alone signage as well as opportunities for promotion within the check-out line, which means you can leverage your valuable retail store space. 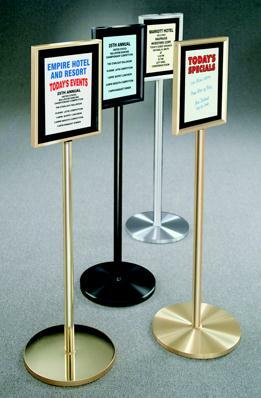 To keep your longer lines orderly, plan to add portable retractable belt stanchions. This will make the line appear more fair and efficient, a key to reducing check-out line reneging and balking, ensuring there are fewer lost sales and better customer experiences. The longer check-out line is a prime spot for merchandising impulse purchases – it helps a captive customer pass the time and drives total purchases up. CrowdControlExperts.com has a full line of in-line merchandising solutions. We stand ready to help you design the most effective merchandising solution for your store. In line merchandising can help impulse sales increase dramatically. With advance planning and smart merchandising, your “busiest shopping day and weekend of the year” can also be one of your most profitable days. Turn to the experts at CrowdControlExperts.com to help you strategize a comprehensive solution that will improve your Black Friday sales. Our experts are ready to help at (631) 367-2005. If you're tired of wasting money by discarding bent legs, broken wood panels, or unrepairable plastic barricades, consider the Plastic Panel Barricades or the High Impact Modular Plastic Barricade. Our barricades are constructed from impact resistant Steel/Plastic, and all the components can be replaced should they become broken or damaged. You can SAVE $$$ by repairing your barricades and also reduce material going into our landfills. All our Folding Barricades are 100% recyclable. Our 35000 Series barricades, feature metal legs with High Impact (blow molded) panels. Now you can combine the strength of impact resistant plastic panels with traditional metal legs. These barricade components come together to form a more durable folding barricade. They are NCHRP 350 accepted with (2) standard or "D" cell barricade lights, meet MUTCD standards, have durable impact resistant plastic panels that are recessed to protect reflective sheeting, have panels that are reinforced to increase stiffness and reduce bending or warping and have steel galvanized legs. We also offer two series of folding plastic barricades using durable blow molded plastic legs. The 36000 Series barricades feature Economy (injection molded) panels while the 37000 Series uses High Impact (blow molded) panels. Because the Plastic Folding Barricade is assembled with individual components, you can select any combination of top and bottom panels. Visit us at www.TrafficSafetyExperts.com to view our full selection of safety cones, safety tapes, barriers and other industrial workplace safety solutions or to speak with a Customer Service specialist, call 631-367-2005.